Webstop’s breadth of features, full set of offerings and great client service has powered the digital success of hundreds of grocery retailers since 1998.
and we are equipping you to meet the expectations of today’s shopper. Shopping trends are evolving as consumers increasingly rely on technology to guide their conventional retail experiences. Innovation on the digital front is producing increased levels of consumer engagement. Your customer is your greatest asset; keeping up with their needs in this digital era is of utmost importance. 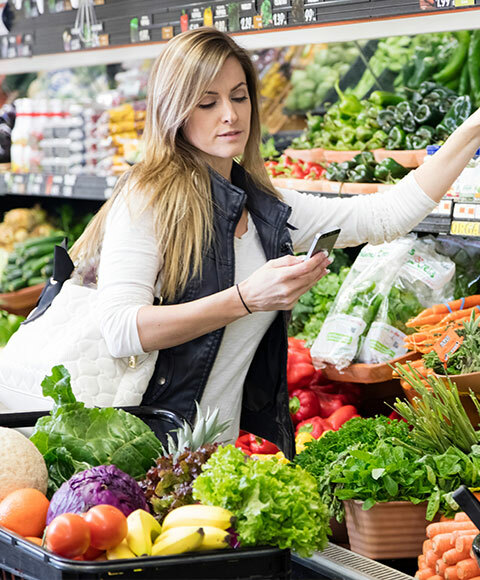 We believe in creating powerful end-to-end solutions that guide your customers’ complete digital grocery experience. 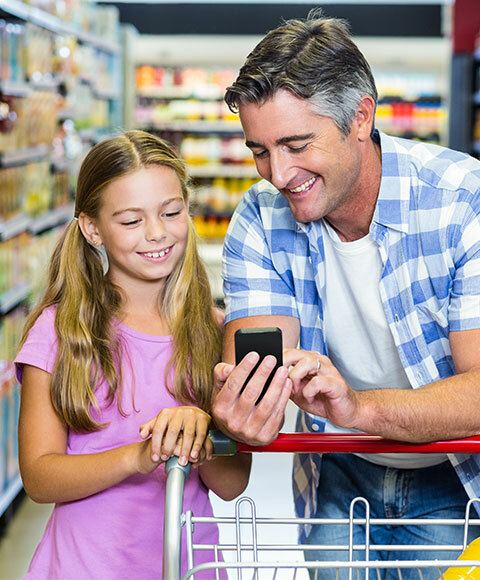 By providing engagement opportunities through websites, mobile apps, digital circulars, eCommerce features, personalized shopping lists, branded promotional recipes, and paperless coupons, your digital offerings will put a unique and relevant experience into the hands of your shoppers. Since 1998, we have been guiding grocers through this process, driving sales and developing brand loyalty online and in-store. Today’s shopper wants your store directly in their hands. We make it simple and convenient to browse products and sales, create shopping lists, search recipes, and engage more shoppers than ever before. 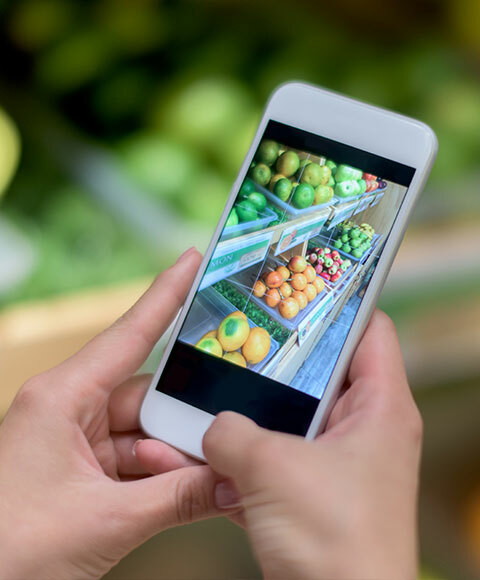 With access to their own mobile shopping list, instant special offers and product suggestions, your digital store will capture shoppers while they are in optimal purchasing mode. Digital loyalty cards, real-time digital coupons, immediate e-receipts and other personalized conveniences create a deeper connection between your shopper and your brand strategy. This is what digital success looks like. Digital solutions powered by successful experts in development, integration, and shopper experience. A full-featured digital offering better engages shoppers and positions retailers strongly against their competitors. A breadth of features is key to success. Shoppers now seek connection with retailers from various devices and locations. A platform that provides engagement opportunities across all of these channels is most valuable. Digital platforms should not feel like a series of silos barely communicating with each other but instead should provide a cohesive experience throughout the features. An integrated solution is a superior solution. Shoppers will love the features, retailers will love the valuable insights available via the various tracking mechanisms interlaced throughout the platform. Measurement educates and empowers retailers. Of all the technology service providers we have worked with, Webstop has proven to be our best partners. They are flexible, innovative and available to us when we have changes, ideas or requests. They have proven to be focused on our business needs. They keep their promises and we have developed an exceptional working relationship. Webstop has been a very good partner for AWG. As one of our preferred partners in the website space, Webstop allows AWG the ability to scale to fit the needs of each of our retailers while also delivering new features in varying point of engagement for consumers. 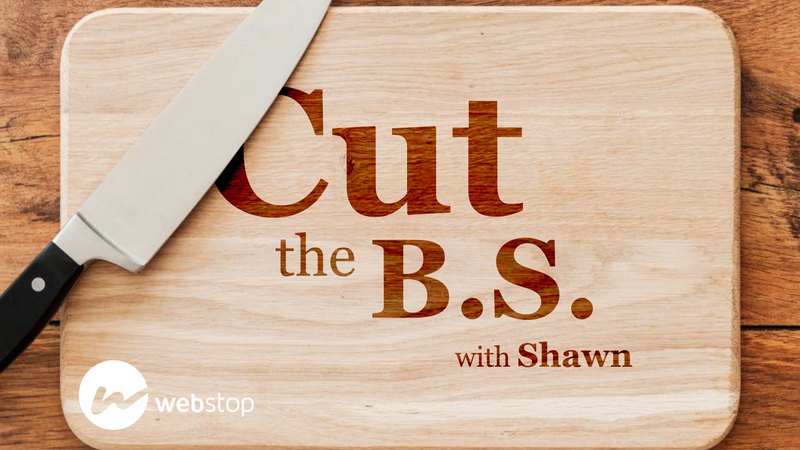 Webstop continues to evolve how digital circulars are presented, delivers interesting content such as mouth-watering recipes, and enhances consumer touch points via email marketing. The Webstop team is responsive to our needs and works well with other partner providers to provide a truly integrated digital experience. The team at Webstop has always been responsive to our needs, and has delivered a quality product. Our web presence continues to be more interactive, and is growing in value to our shopping experience. Webstop is a great partner for IGA and IGA family-owned independent grocers. They are knowledgeable and approachable, with solutions in guidance needed to build a differentiated brand and increase individual store sales. They seek opportunities to engage at every level of the organization and demonstrate a sincere interest in our long-term success. In our search for a dynamic, full-service digital solutions provider, it was clear to us that Webstop was the right partner. In our continued efforts to streamline our customer's digital experience and to further monetize the site, Webstop has continually provided expert solutions and advice. They work hard to accommodate any request while always meeting deadlines. With Webstop, we feel we are well-positioned moving forward to continue evolving our digital experience to better serve the business and customers needs. When we were looking for a new partner to help us with our online presence we needed someone that could react quickly, scale with us, be cost-effective, and cover a lot of different banners efficiently. Webstop seem to be a perfect fit. Webstop made the transition from our old provider very painless. They also proved to us that when we had last minute changes or projects they were able to quickly make any changes we needed. Webstop has been a very good partner and fit for the way we do business. The foundation of your digital presence, Webstop responsive websites are built to work across all devices and to integrate seamlessly with your various digital features. More than a repurposing of print media, Webstop Digital Circulars are an interactive experience that bring together various promotions and are organized around the ever-popular weekly savings format. Email newsletters drive traffic to your website and provide the outward communication to compliment your other digital channels. Savings is a key driver of digital engagement. Digital coupons allow shoppers to quickly clip and redeem offers across devices. Webstop’s 5,000+ recipe database provides meal ideas that build basket size; integration with the Digital Circular and Shopping List expand the reach of the feature. Users return to apps at a much higher rate than mobile websites. Take advantage of the powerful features only available thru mobile apps. Social networks present an additional opportunity to connect with your shoppers. We guide our retailers thru implementation and management of their various social media destinations. Create a deeper connection with your shoppers and gain valuable insights by tracking their shopping activity.